We’re cooking show tragics in this house. Right now we’re caught up in the personality dramas of the Australian version of My Kitchen Rules. When that finishes, Master Chef will start. That show is less personality and more cooking so it’s a good foil for follow up. Another show we watch every Friday night is called Living Room. A delightfully eccentric and somewhat manic Spanish chef called Miguel Maestre has a cooking feature in it. A couple of weeks ago he made fish and chips. It sounded so divinely delicious and simple I actually made it. 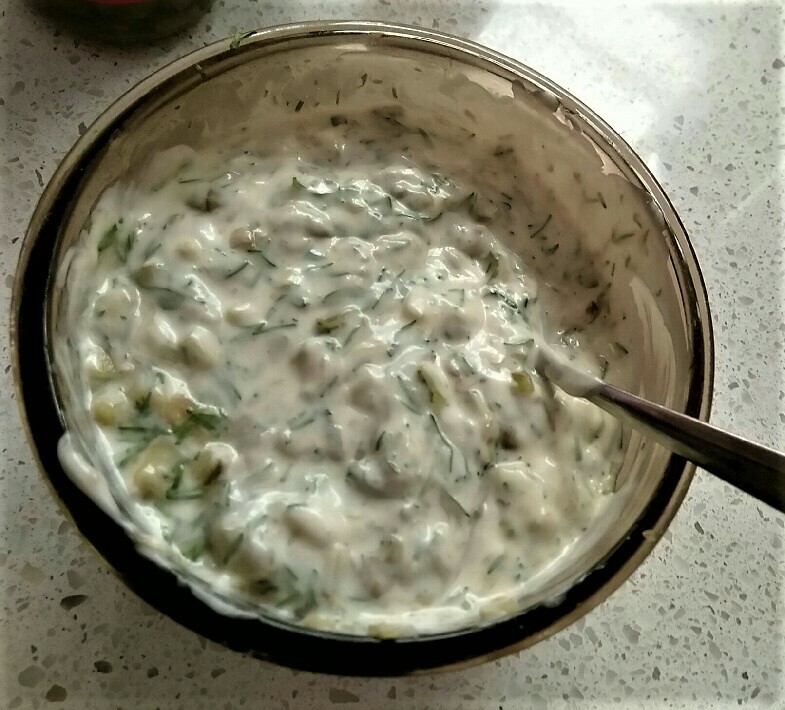 Since then, I have made more of the utterly delicious and easy to make home made tartare sauce. I must admit that I haven’t had all the ingredients to hand. Despite that, it is a winner. It goes well with chicken and hard boiled eggs too. Here’s his recipe. I’ve put an asterisk next to the ingredients I used for my own doctored version. This week he made yoghurt flatbread. 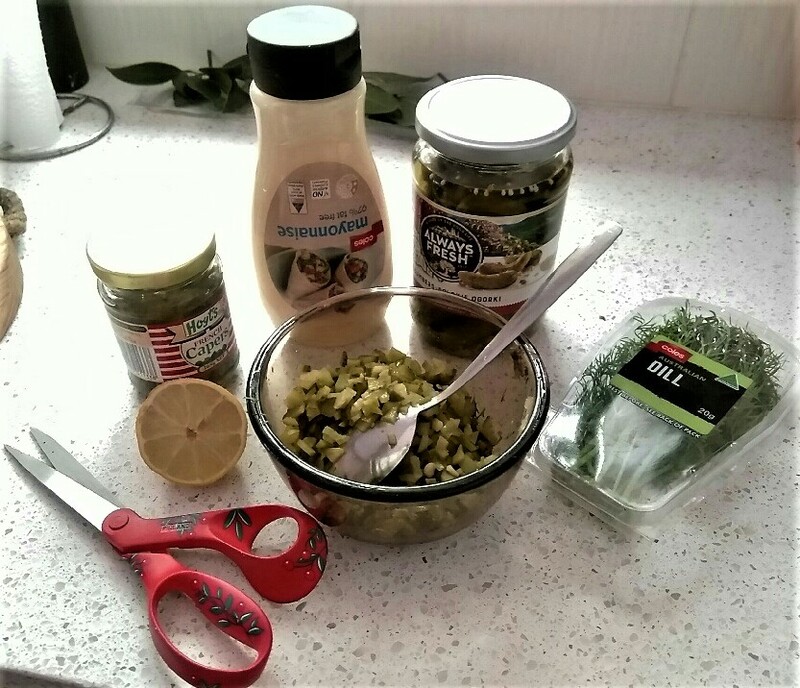 Two ingredients! I’m going to try that too. Wow that looks yummy and such a wonderful presentation. I wish more of the electorate understood political system better. A lot of them don’t know that the Conservatives are taking food from our mouths, and giving it to the rich, who don’t need it. capitalism has gone mad all over the world. Good luck to Australia. I hope you get a change for the better. That sounds good too, Gretchen. I have never eaten catfish! I was once stung by a catfish and have never been in so much pain!!! Contrary to what you would expect, the way to treat it is to soak the affected part in water as hot as you can bear until the pain eases. Oowwww! That sounds terrible! No fun!! I’ve never been stung. By I’ve eaten them quite a bit. So good deep fried!